Great news! Our founder, Jeremy Holm, is getting ready to publish his first full-length book. The piece will be Christian faith-based and we expect it to be on shelves and online for purchase in January of 2014. Congratulations, Jeremy, we are all looking forward to it! Jeremy is also preparing to release a short e-book titled, "The Champions Way." Drawing from his decade-long career as a bobsled pilot and coach, this book is based on the winning principles Jeremy lectures on. Stay tuned for an announcement on the release! We are very pleased to announce that Team Phoenix's pilot and founder, Jeremy Holm, is working with the Make-a-Wish Foundation of Utah on their upcoming "Evening of Wishes" fundraising gala on April 27, 2013. …grant the wishes of children with life-threatening medical conditions to enrich the human experience with hope, strength and joy. In order to help make more wishes come true for the incredible boys and girls and their families who benefit from Make-a-Wish, Jeremy and three of his fellow athletes will be donating a special lunch at Sugarhouse BBQ for the winning bidder and a guest. 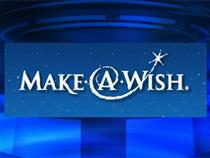 For more details on the Make-a-Wish "Evening of Wishes" gala, please click here. 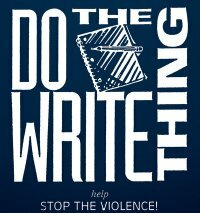 I spent the weekend as a celebrity judge for the Utah-chapter of the national Do the Write Thing Campaign, a country-wide program designed to reduce youth violence in our junior high and high schools. This is the third year I've had the opportunity to act as a judge for the DTWT Campaign and I must say, it is a humbling experience. As a celebrity judge it is my responsibility to read twelve of the top anti-violence essays submitted from students across the state and evaluate them for content. I say it is a humbling experience because the personal stories shared by these young students are both heart-wrenching and inspiring. Their essays are eye-opening studies of what daily life is like for students in our schools. The acts of bullying, child abuse, teasing and intolerance that I've been reading about are enough to bring tears to your eyes. We try so hard to protect our youth from the dangers of the world, only to find out that sometimes the greatest threats they face are from their fellow-students. On the other hand, these students have also been charged with coming up with solutions to reducing the amount of violence in and out of the schools they attend. Their insight into the causes and potential solutions of bullying are amazing. These kids have seen some of the worst acts of bullying and violence that I've ever heard of, yet their hope for a better future for their fellow-students is unconquerable. Greater than their courage and desire to eliminate violence in the schools and their lives, these students often express an understanding that even bullies deserve to be helped and listened to and are often the very people who need compassion the most. While we often think that bullying, teasing and even violence are problems only for the young, the truth is that we would all do well to remember that the principles of respect, compassion, understanding and tolerance are things we can all build our lives around. At the end of the day, it isn't about the color of our skin, the language we speak or the religious beliefs we hold to, its about our unchangeable worth as human beings. Every person is a beautiful wonder that deserves a measure of honor. I hope we never forget that. The Phoenix Bobsled Project, The Athlete Outreach Project and Team Holm Bobsled and proud to announce that Salt Lake City, Utah-based BCI National has joined us as an official sponsor. BCI National specializes in construction projects in hospitality, retail, restaurants, gas-convenience and corporate Offices. They also have extensive experience in design build, turnkey, ground up, re-image, national rollout, tenant improvement and department change. BCI also provides facility management and maintenance to world class facilities all over the United States. "Having a historic company like BCI National on-board is a huge boost for our project," said Jeremy Holm, Team Phoenix's founder and main pilot. "The quality of their work can be seen all across the nation, and even in Canada. Maybe they should change their name to BCI International. Either way, we're excited to represent them on and off the ice. Their support has given us a strong foundation, something they know all about, to grow this project on and as we prepare to take The Phoenix around our communities and on the ice down the track, we're honored to have BCI National go with us." 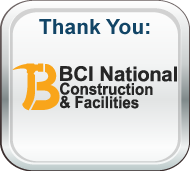 To learn more about BCI National, please click the icon located above. The Phoenix Bobsled Project, The Athlete Outreach Project and Team Holm Bobsled and proud to announce that Salt Lake City, Utah-based Morris Murdock Travel, LLC has joined us as an official sponsor. Specializing in cruises, escorted tours, group travel, airfare, hotel accommodations, car rentals, full vacation packages, honeymoon/anniversary travel, luxury travel, and incentive travel programs. "I'm thrilled to have Morris Murdock Travel join our team," said Jeremy Holm, Team Phoenix's founder and main pilot. "I know these people, I know the quality of travel services that they provide. The company itself has over 55 years of history. When it comes to finding the best vacation value for the best price with the best customers service possible, Morris Murdock Travel is the place to look. Travel websites will never give you what they have: actual experience in traveling to these locations, key relationships with big travel providers that gives them access to incredible deals and most of all, personal service with travel agents who care about your next trip." 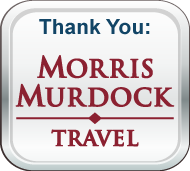 To learn more about Morris Murdock Travel, please click the icon located above.